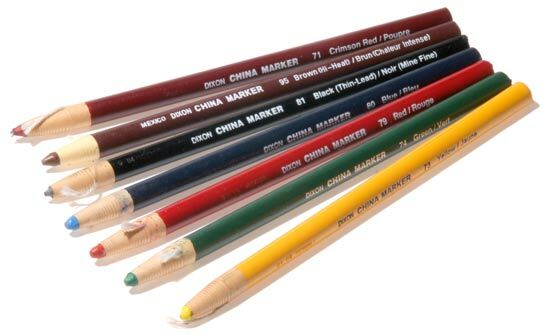 DIXON BRAND china markers are great for making a removable mark on any smooth surface and come in 9 colors. Perfect for stone and tile layout, writing on food wrappers, plastic seating charts, medical charts, outdoor plant markers, drawings, metal, wood, etc. Certified non-toxic for restaurant use.